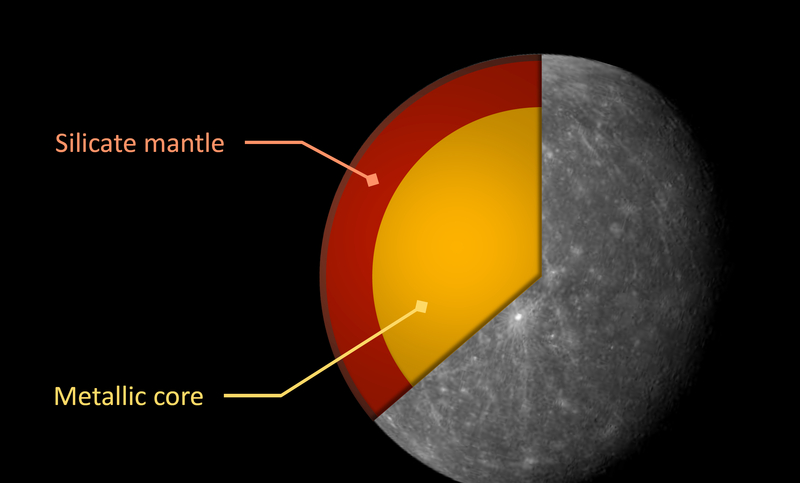 Mercury, the smallest terrestrial (rocky) planet and closest to the Sun, is relatively close to Earth, yet there is much that we still don’t know about it. Next month, the joint ESA-JAXA BepiColombo mission will be launched to this enigmatic world – but in the meantime, there are two new peer-reviewed studies that are helping to shed more light on Mercury’s mysteries. 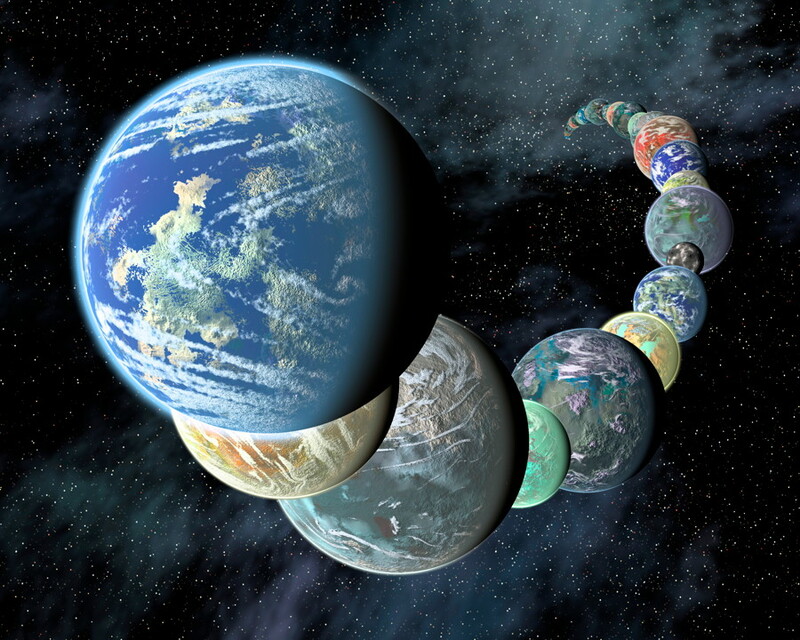 The new findings were announced by Europlanet on September 18, 2018 and presented at the European Planetary Science Congress 2018 in Berlin by Bastien Brugger and Thomas Ronnet, both of whom are scientists at the University of Aix Marseille in France. Scientists have known for some time that Mercury is rather strange – it is significantly smaller than the other terrestrial planets, it is very dense, it has an oversized molten core and it was formed under chemical conditions that determined it would contain much less oxidized material than the other rocky planets. 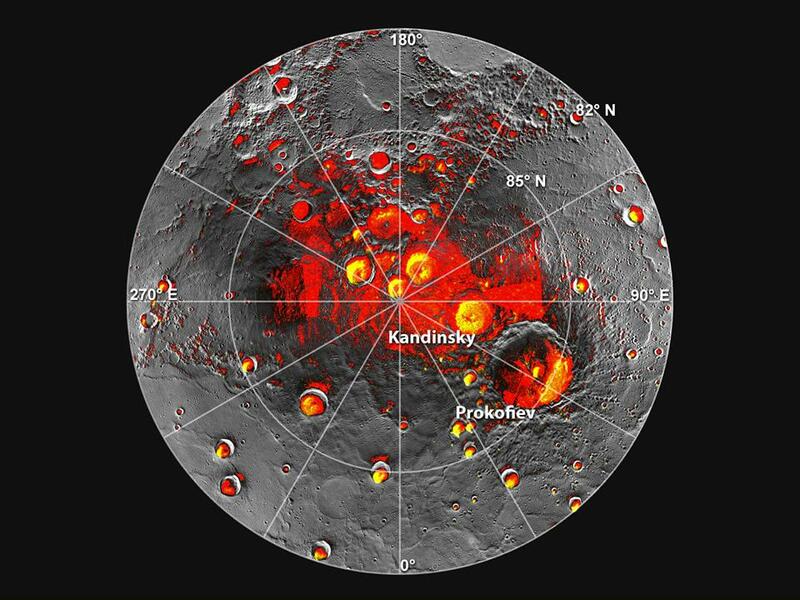 Mercury even has ice deposits near its north pole, despite the fact that most of the surface is hot enough to melt lead. Because there is virtually no atmosphere to speak of, permanently shadowed areas can be as cold as -274° F (-170° C). Brrr! When thinking of Mercury’s climate, it’s good to recall that its axis of rotation is perpendicular to the plane in which it orbits the Sun. 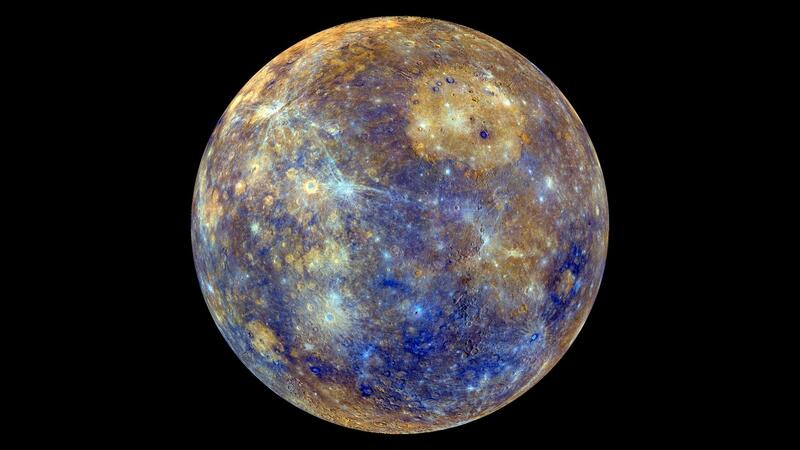 In other words, Mercury has almost no axial tilt, compared to Earth’s axial tilt of 23.4 degrees. The second study mentioned at the conference does not have a formal published paper, but is listed along with the first one on the Oral programme TP1 page of the conference. It focuses on the outreach, mission and instruments of BepiColombo, the next mission to Mercury launching next month. BepiColombo will be Europe’s first-ever mission to Mercury, and is a joint mission between the European Space Agency (ESA) and ESA and the Japan Aerospace Exploration Agency (JAXA). Two orbiters will study Mercury in great detail, building on the data sent back by the previous MESSENGER mission, which orbited the planet between 2011 and 2015. 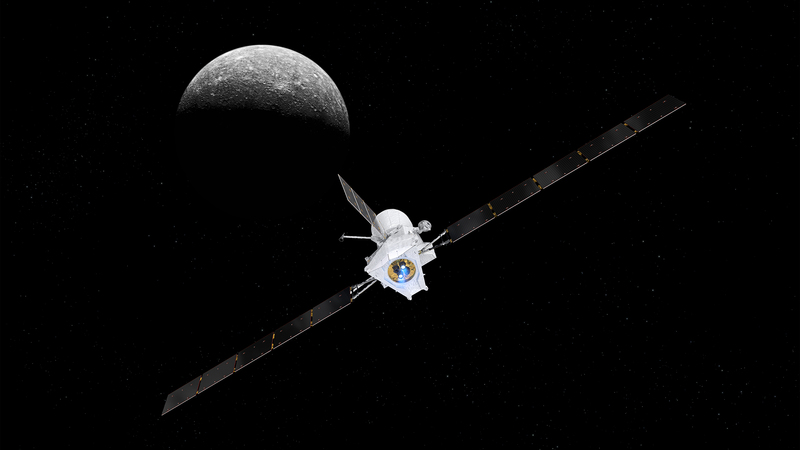 BepiColombo will take seven years to travel to Mercury after its scheduled October 19 launch, using a combination of ion propulsion and gravity assist flybys at Earth, Venus and Mercury itself, arriving at Mercury in late 2025. Bottom line: There is still a lot we don’t know about Mercury, but new research is shedding light on the planet’s mysteries. Along with the upcoming BepiColombo mission, we’re due, finally, to learn more about the origin and evolution of this intriguing little world.